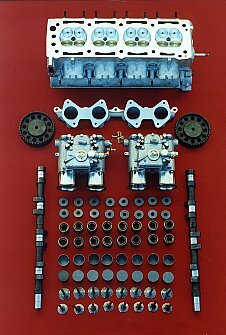 Cosworth Normally Aspirated 'YB', John Wilcox Competition Engines. 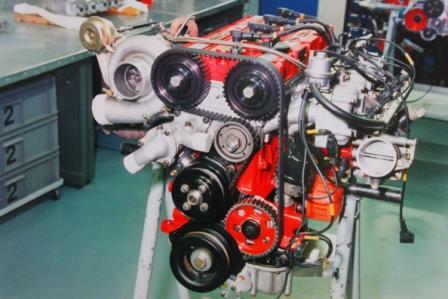 We have been developing this engine since 1986 in turbo form for rallying and racing, during 1987 we built the first normally aspirated version. 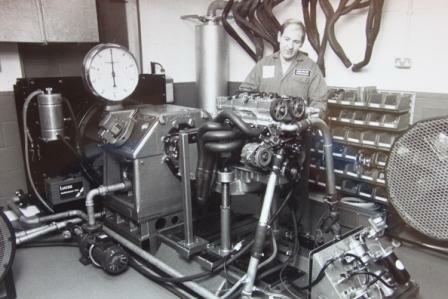 In the photograph John oversees the first prototype to run on the test bed which led to backing from Ford Motor company enabling us to develop a version for the BTCC. 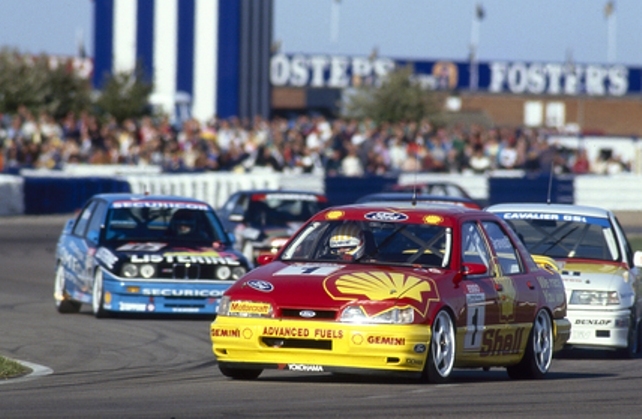 In 1991 we built engines for the BTCC, Portuguese and French touring car championships. 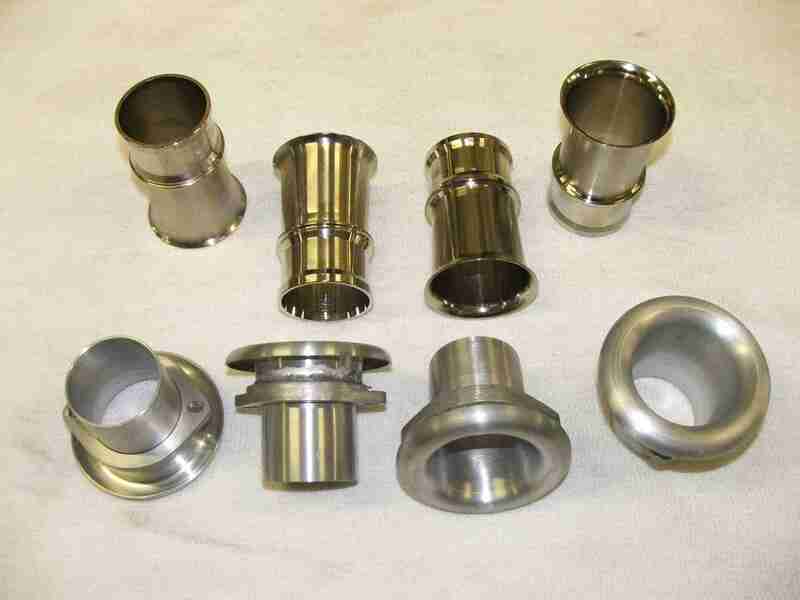 We offer a range of kits all which have been tested and race proven whether turbo, normally aspirated, 2 litre, 2.3 or even 2.5. 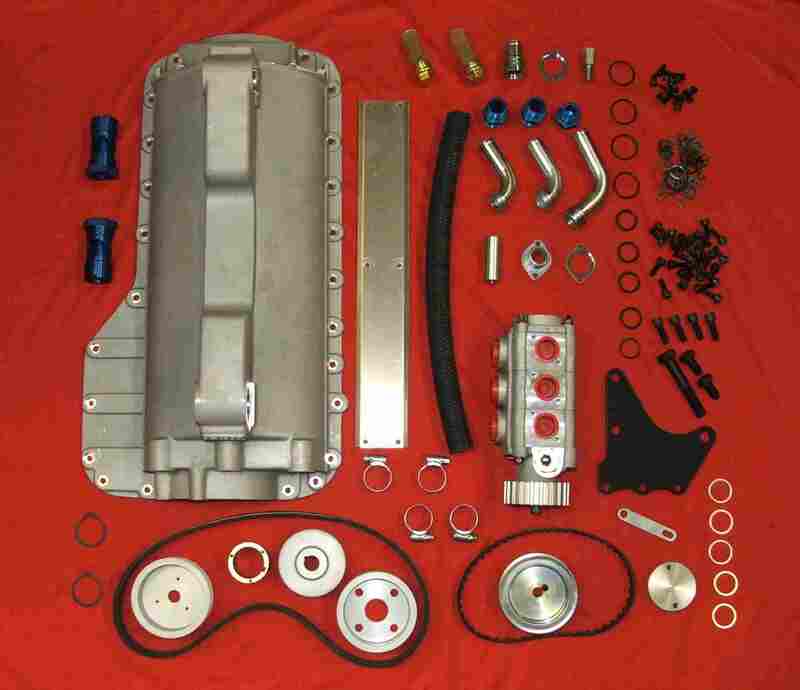 We can tailor build this engine to suit your requirements. 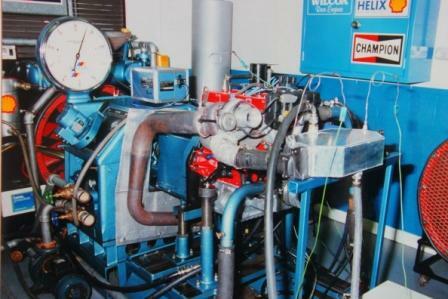 8 injector RS 500 Race engine, Injected Normal Aspirated and a 4 X 4 Group A Rally engine undergoing setup on the dyno. 4 Forged pistons std / o/s, 1Inlet manifold - side draft, 4 Carb spacers alloy, 8 Carb studs, 8 Carb rubber mounts, 2 Weber 45 DCOE, 1 Steel flywheel, 16 Tappet shim conversion, 1 Head converted to 200 Bhp spec, 2 Camshafts reprofiled. 4 Forged pistons std / o/s, 1Inlet manifold - side draft, 4 Carb spacers alloy, 8 Carb studs, 8 Carb rubber mounts, 2 Weber 45 DCOE, 1 Steel flywheel, 16 Tappet shim conversion, 16 Competition valve springs, machine16 valve caps, 1 Head converted to 220 Bhp spec, 2 Camshafts reprofiled. 4 Forged pistons std / o/s, 8 Heavy duty con rod bolts, 1 Dry sump kit, 1Inlet manifold - side draft, 4 Carb spacers alloy, 8 Carb studs, 8 Carb rubber mounts, 2 Weber 45 DCOE, 1 Steel flywheel, 16 Tappet shim conversion, 16 Competition valve springs, machine16 valve caps, 1 Head converted to 235 Bhp spec, 16 Bronze valve guides, 2 Camshafts reprofiled. 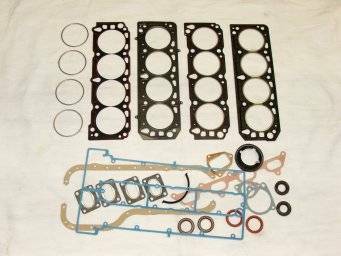 4 Forged pistons std / o/s, 8 Heavy duty con rod bolts, 1 Dry sump kit, 1Inlet manifold - side draft, 4 Carb spacers alloy, 8 Carb studs, 8 Carb rubber mounts, 2 Weber 48 DCOE, 1 Steel flywheel, 16 Tappet shims top hat, 16 Light steel valve buckets,16 Competition valve springs, machine16 valve caps, 1 Head converted to 250 Bhp spec, 16 Bronze valve guides, 8 Inlet valves, 8 Exhaust valves, 2 Camshafts reprofiled. 4 Forged pistons 94mm, 8 Heavy duty con rod bolts, 1 Dry sump kit, 1Inlet manifold - down draft, 1 Steel flywheel, 1 Steel crankshaft - long stroke, 16 Tappet shims top hat, 16 Light steel valve buckets,16 Competition valve springs, machine16 valve caps, 1 Head converted to 280 Bhp spec, 8 Inlet valves, 8 Exhaust valves, 16 Bronze valve guides, 1 Injection system Mapped + Dyno test, 2 Camshafts reprofiled. 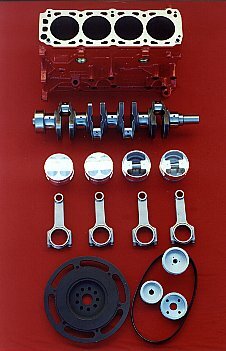 Components and parts available for YB type engines. 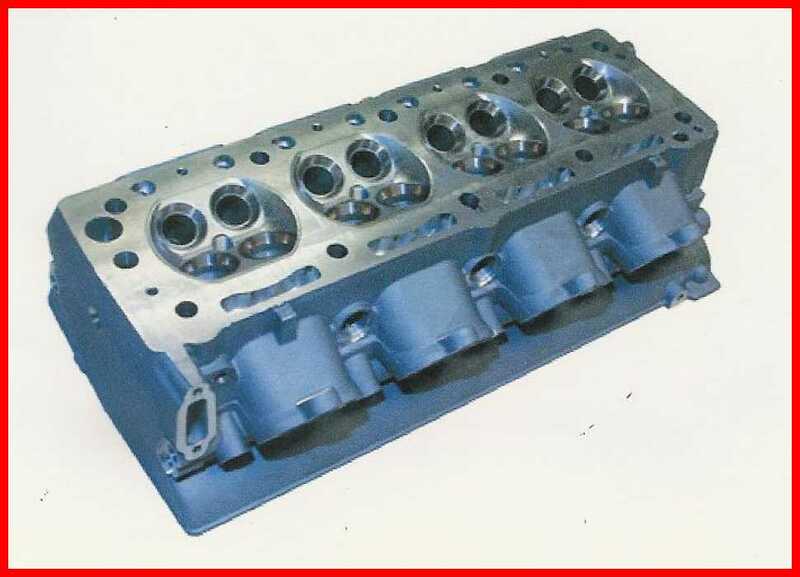 New YB hybrid cylinder heads to suit both 2 and 4WD, or normally aspirated. Head fully machined with seats and guides fitted, combustion chamber volume 50.4cc. 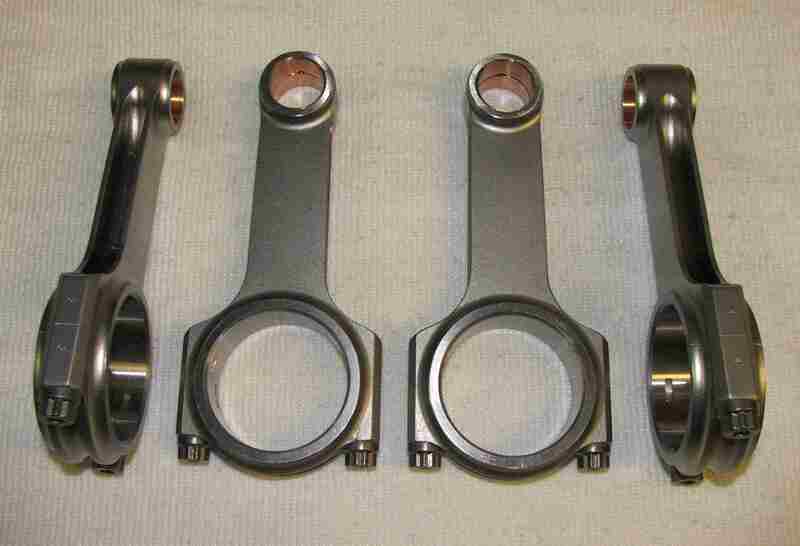 New design EN40B steel crankshafts with, lightened counterbalance webs and bored out big end journals. Various strokes available. 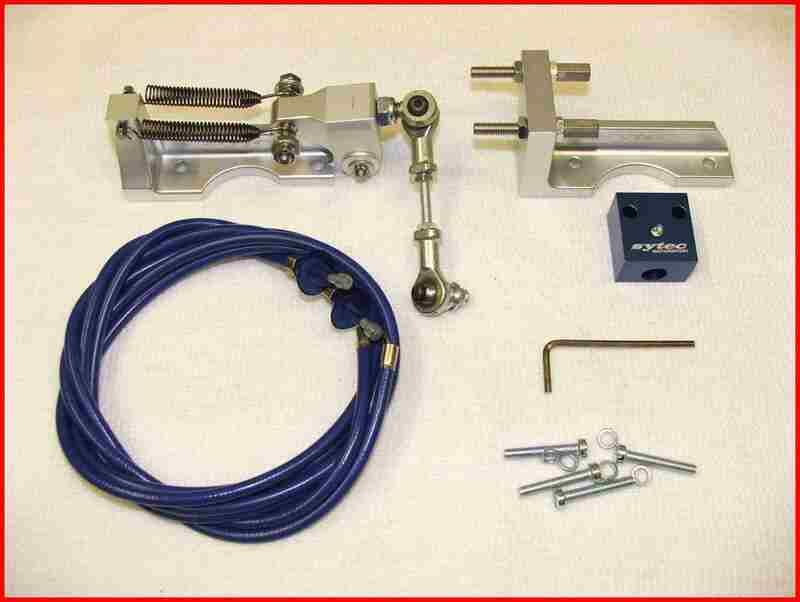 Universal, twin cable Weber throttle linkage. 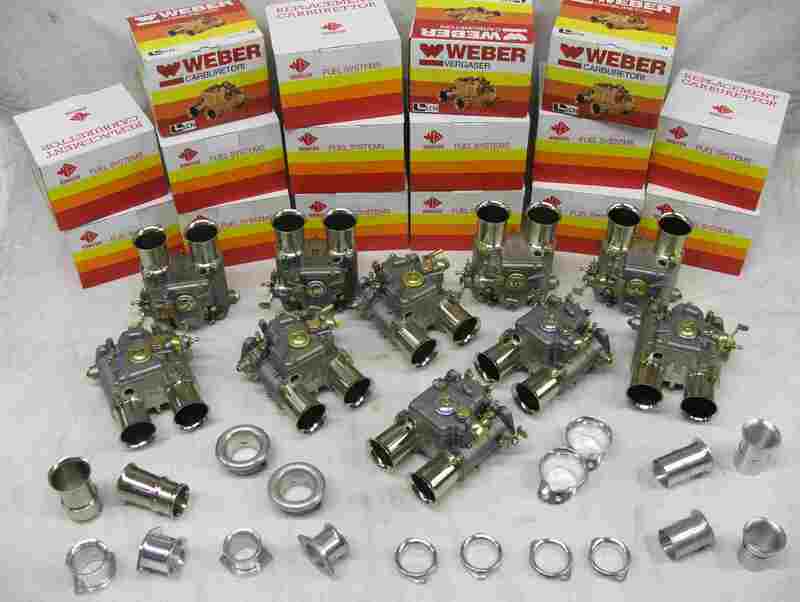 Many More parts available, prices subject to change. 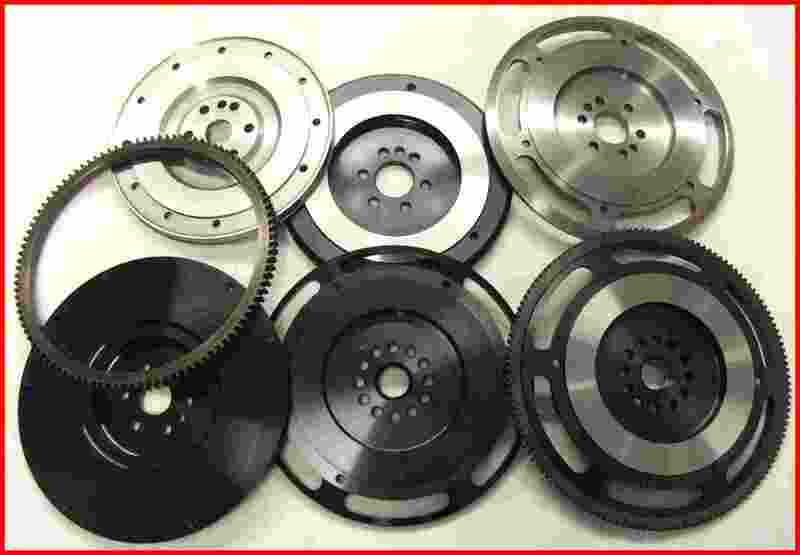 All parts are + VAT.